The CRISPR/Cas9 system has emerged as a powerful tool to edit the genome. Among many applications, the system generates the exciting possibility of engineering small and large portions of chromosomes to induce a variety of structural alterations such as deletions, inversions, insertions and inter-chromosomal translocations. Furthermore, the availability of viral vectors that express Cas9 has been critical to deliver the CRISPR/Cas9 system directly in vivo to induce chromosomal rearrangements. This review provides an overview of the state-of-the-art CRISPR/Cas9 technology to model a variety of rearrangements in vivo in animal models. 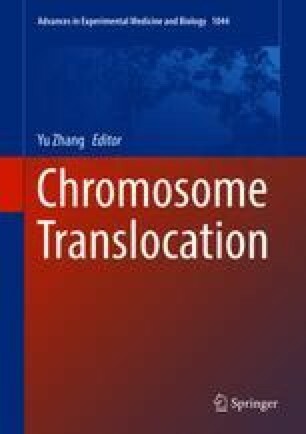 Authors Taek-Chin Cheong and Rafael B. Blasco have equally contributed to this chapter. This work was supported by National Institute of Health grants R01 CA196703-01 and R01 CA222598-01 to R.C. ; Associazione Italiana per la Ricerca sul Cancro (AIRC) grant IG-12023 to R.C. ; Worldwide Cancer Research (former AICR) grant 12-0216 to R.C. ; National Research Foundation of Korea (NRF) fellowship 2016R1A6A3A03006840 to T.C.C. The authors declare no competing financial interests. Correspondence and requests for materials should be addressed to RC. (roberto.chiarle@childrens.harvard.edu).